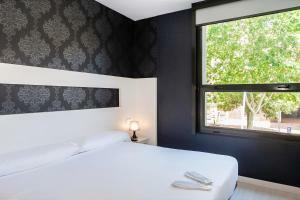 This modern hotel is located directly across from the Auditori and 50 metres from the National Theatre. 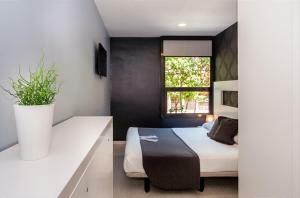 It offers a free gym and bright, air-conditioned rooms with free Wi-Fi, 250 metres from Monumental Bull Ring. 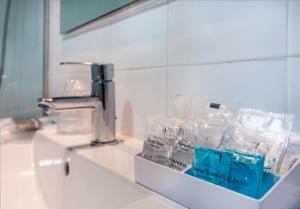 Rooms at Barna House Hotel feature stylish, contemporary décor. Each includes a TV, desk and private bathroom with hairdryer. A buffet breakfast is served and many bars and restaurants are within 5 minutes’ walk. 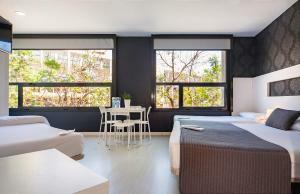 Glories Shopping Centre is 500 metres away and Ciutadella Park and the Born district are 10 minutes’ walk away. Other facilities include Airport Shuttle at an extra charge. 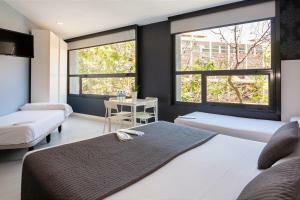 Barna House Hotel is close to the Barcelona Encants Market and only 10 minutes’ walk from the iconic Sagrada Familia Basilica. 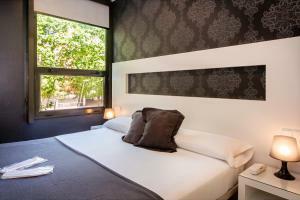 Marina Metro Station is 400 metres away, 3 stops from Plaza Catalunya. Estacio del Nord Bus Station is 5 minutes’ walk away. Please note that Reception is not open 24 hours. If you expect to arrive after 23:30, please inform the property in advance. This must be confirmed by the hotel. You can use the Special Requests box when booking or contact the property. Please note that airport shuttle is available at an extra charge. For more information, please contact the property. 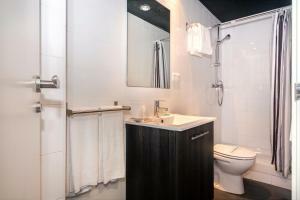 This bright, air-conditioned room features free Wi-Fi and stylish, contemporary décor. It includes a TV, desk and private bathroom with hairdryer. This room features 2 single beds which can be pushed together to make a double bed. Rate: € 77.00 ... € 218.00; select dates below to get current rates. 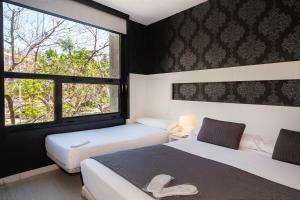 This bright, air-conditioned room features free Wi-Fi and stylish, contemporary décor. 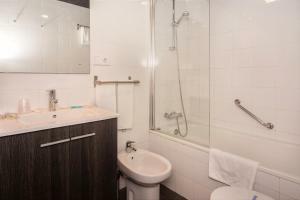 It includes a TV, desk and private bathroom with hairdryer. Rate: € 121.33 ... € 164.00; select dates below to get current rates.